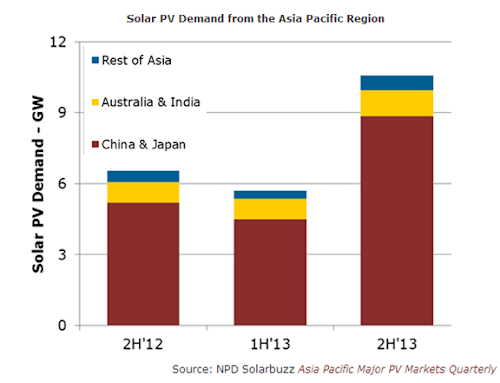 Record PV Demand from China and Japan Marks Turning Point for Solar Industry…Strong shipments to key Asian markets in 2H’13 to restore PV market confidence, as threats from trade wars and corporate bankruptcies subside. 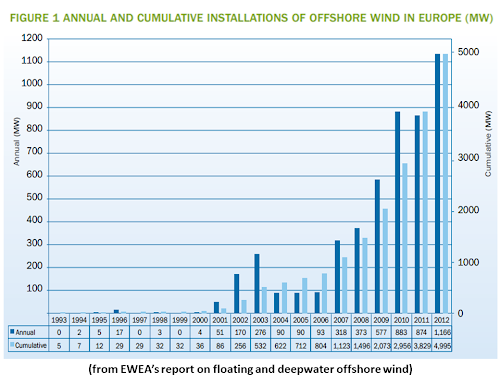 In Germany, offshore wind power is at the beginning of its growth path. In the North and Baltic Sea, there are about 400 MW in operation. 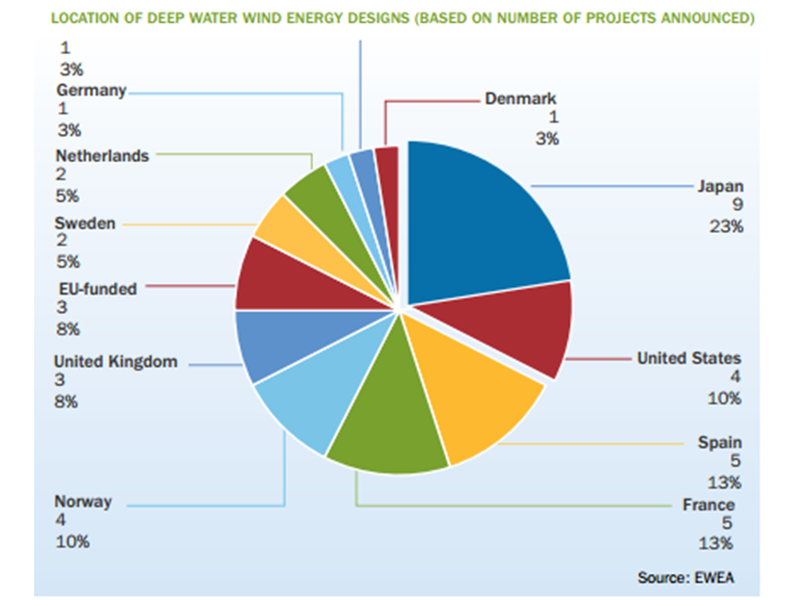 In the North Sea alone, there are currently seven wind farms under construction, with a total capacity of about 2,000 MW. Wind farms with an additional capacity of over 4,000 MW have been already approved. There are another 1,200 MW approved in the Baltic Sea. In Germany, the installed offshore wind power capacity is expected to reach between 6,000 and 10,000 MW by the year 2020. 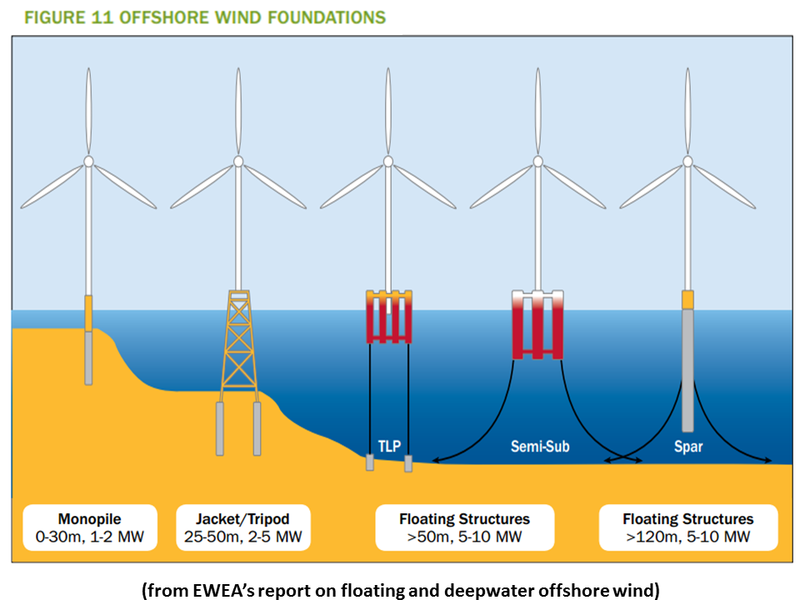 For the currently operational offshore wind farms, the levelised costs of energy, i.e. the average cost for generating electricity over an operational time of 20 years, amounts to 12.8 to 14.2 Cent2012/kWh in real terms. 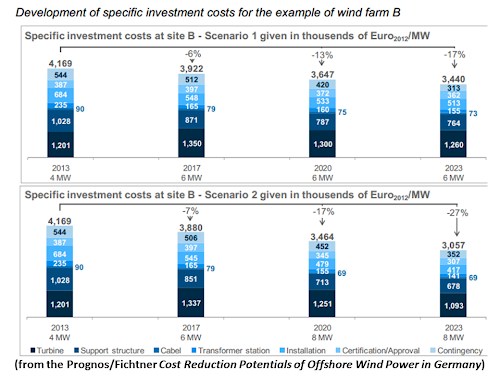 According to scenario 1 and depending on the actual site, these costs can be gradually reduced by up to 32 %, and in the optimum market conditions of scenario 2 by up to 39 % over the next ten years. The main driver for the cost reduction is a continuous technological development across the entire added value chain of the offshore wind power industry. It may bring about substantial savings regarding investment, operation and financing. 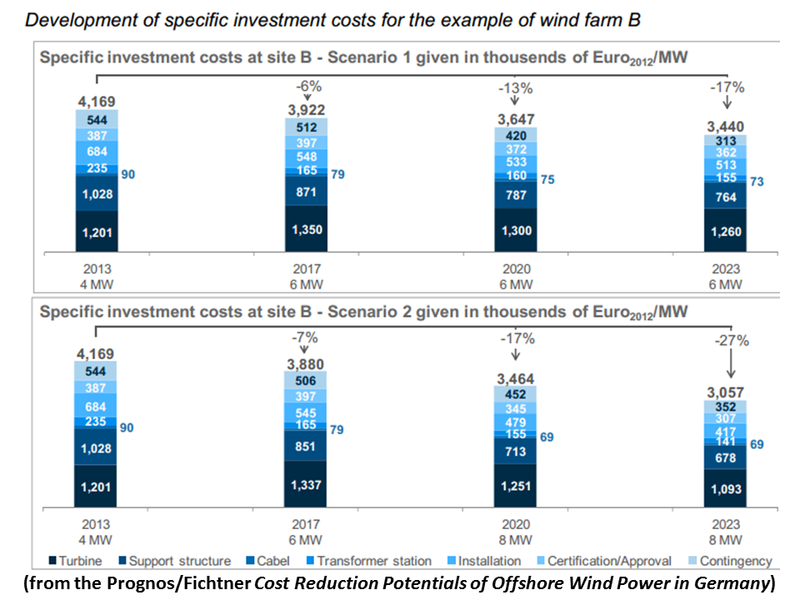 14 percentage points of the cost reduction in scenario 1 and 21 percentage points in scenario 2 are due to investment costs. 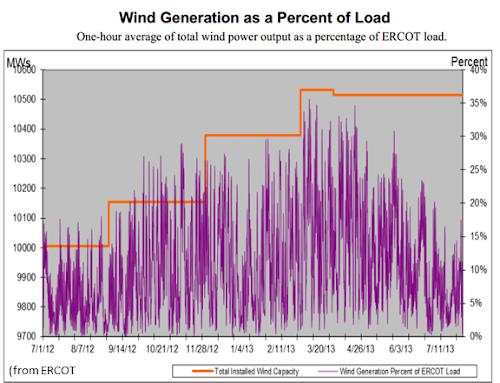 Short-term, an improved logistics infrastructure for installing wind power plants will bring down the costs. In the long run, the trend towards larger turbines and more efficient production processes regarding the support structure will determine the development. 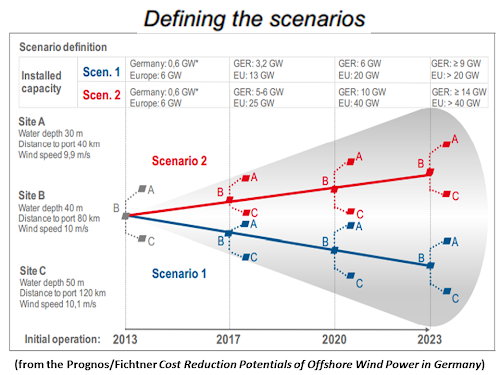 In scenario 2, an intensified competition and economies of scales due to larger turbines and production volumes will lead to large cost reductions. 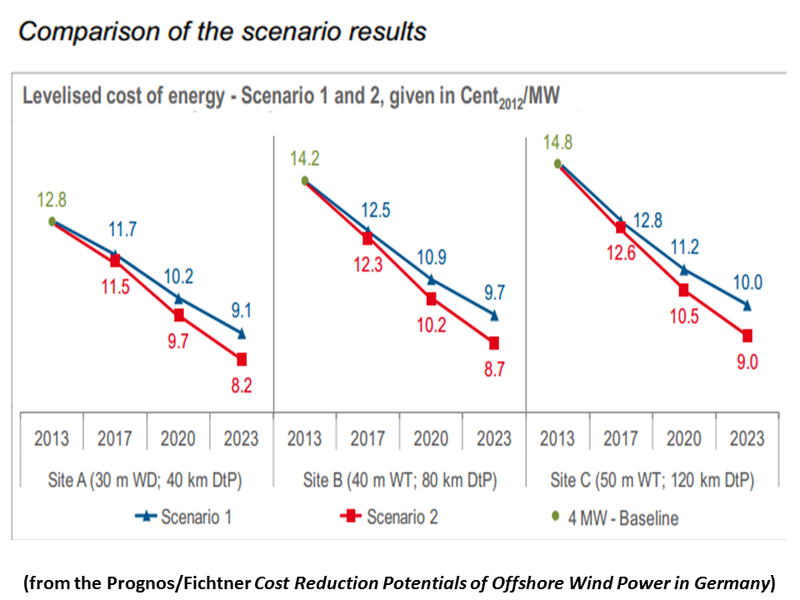 In scenario 1 and 2, respectively, 5 or 8 percentage points of the cost reduction result from bringing down operating and maintenance costs. This reduction is also triggered by an improved logistics infrastructure and faster ships. In the long run, particularly in scenario 2 inter-operator maintenance concepts further decrease costs. 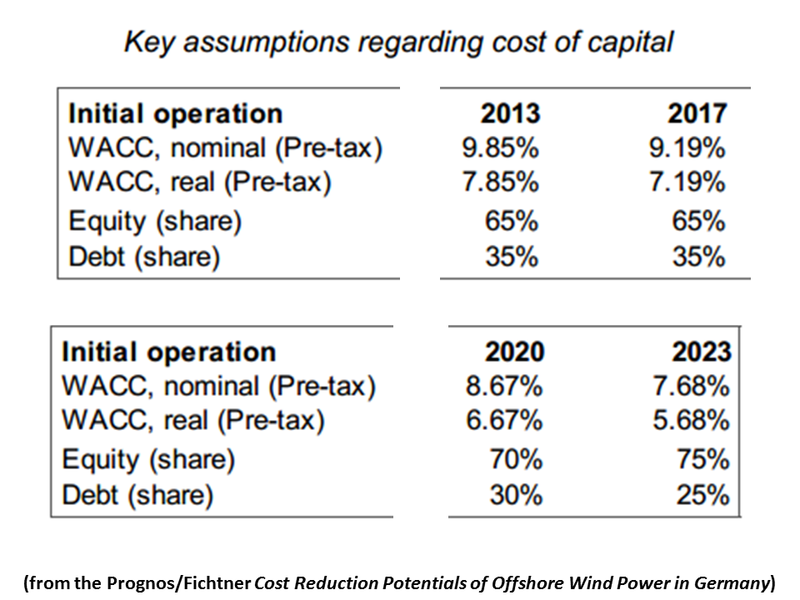 In scenario 1, the reduction of the cost of capital and reduced contingency provisions for project risks account for another 12 percentage points of the cost reduction potential. As investment costs decrease at a lower rate, in scenario 1 this issue is more important than in scenario 2 where it amounts to 9 percentage points. As the growing experience with the technology results in reduced risk premia as part of the financing concepts this cost reduction potential is only indirectly a technological one. 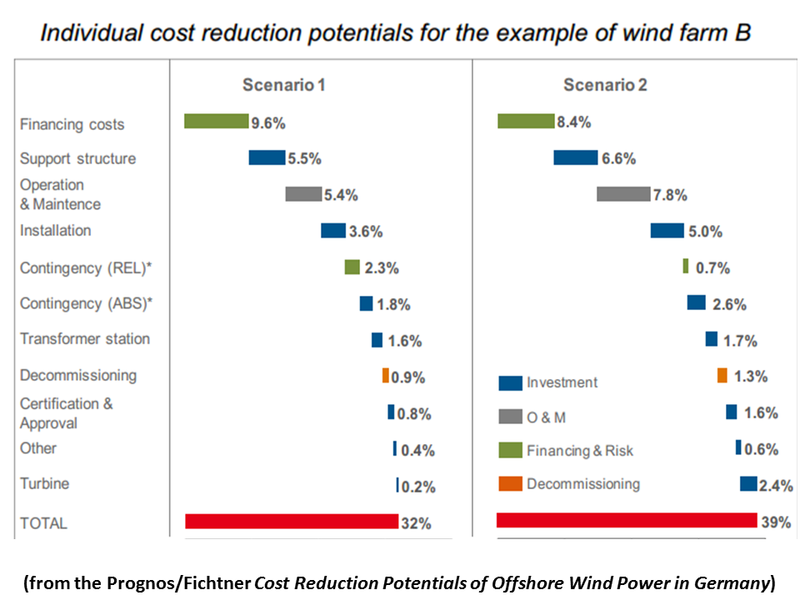 In both scenarios, reduced decommissioning costs account for about 1 percentage point. The cost reduction potentials can be only realized if industry, politics and administration jointly create the necessary conditions. Stable legal and political framework conditions are essential in this context. Already in the short term, an efficiency increase in the industry provides a substantial cost reduction potential. Technical standards for plant components and grid connections are an important prerequisite for serial production. Approval and certification criteria need to be simplified and standardised. Joint installation and maintenance concepts for adjacent wind farm locations increase installation and operating efficiency. 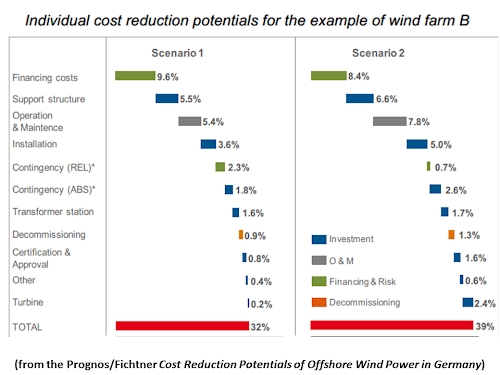 More than half of the total cost reduction potentials can be attributed to investment costs. The reduction of operating and maintenance costs as well as a decreased cost of capital offer the largest individual potentials, though. 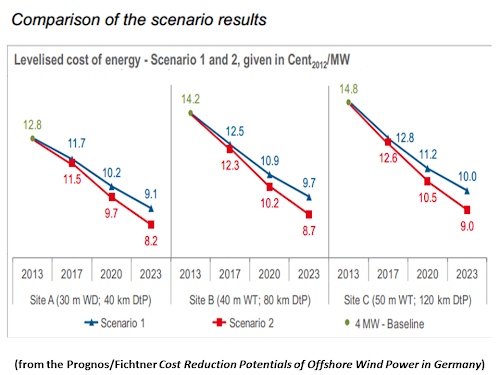 The cost reduction potentials of offshore wind power over the next ten years amount to between 32 % in scenario 1 and 39 % for optimum market conditions (scenario 2). The main part can be attributed to the direct technological potential. The remaining reduction potentials (financing and risk) can be related indirectly to potentials that are triggered by technology. ƒ An increased generator capacity results in substantial economies of scales for substructures and support structures. It reduces the specific costs of this large cost item and thus decreases levelised costs of energy. 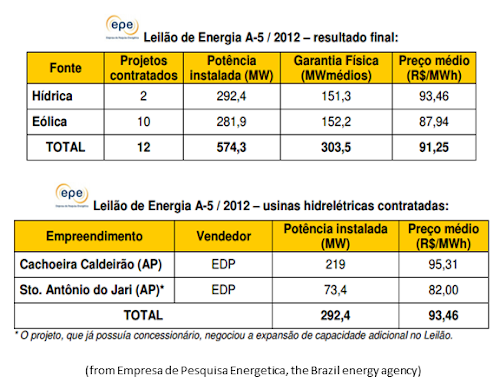 In the long run, serial production and increased competition additionally contributes to a cost reduction of another 5.5 (scenario 1) or 6.6 percentage points (scenario 2), respectively. ƒ Improved operating and maintenance logistics also constitute a large technological potential (5.4 to 7.8 percentage points). In the short term, faster and larger ships as well as an improved infrastructure particularly determine the reduction potential. In the long run, inter-operator sea-based maintenance concepts result in decreasing costs. ƒ An improved installation logistics due to larger, faster ships and the adaptation of installation processes reduces costs by 3.6 to 5.0 percentage points. Larger ships increase transport capacities and allow for utilizing favourable weather slots. In addition, larger and more powerful installation ships are required in order to be able to utilize the economies of scales of larger turbines. 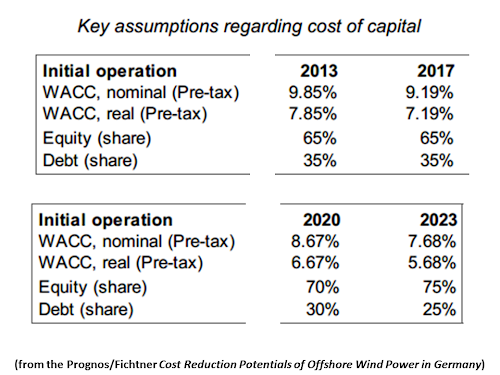 ƒ The reduction of the absolute contingency provisions for installation risks decreases total investment costs and thus levelised costs of energy by 1.8 to 2.6 percentage points and is directly triggered by the technological development. 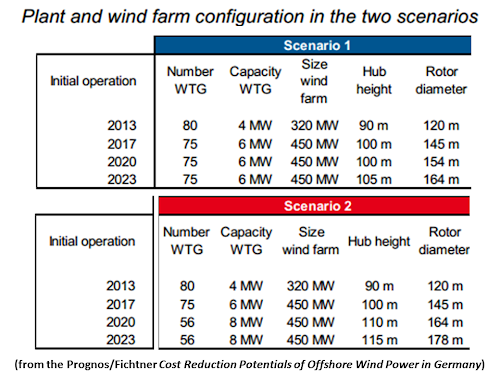 ƒ The standardisation of technical dimensions and an intensified competition regarding wind farm transformer stations account for a cost reduction potential of 1.6 to 1.7 percentage points. ƒ As specialisation regarding the dismantling of offshore wind farms (decommissioning) increases over time, the energy generation costs can be reduced by 0.9 to 1.3 percentage points. ƒ Uniform approval and certification standards as well as a growing experience regarding project planning contribute a cost reduction potential of 0.8 to 1.6 percentage points. 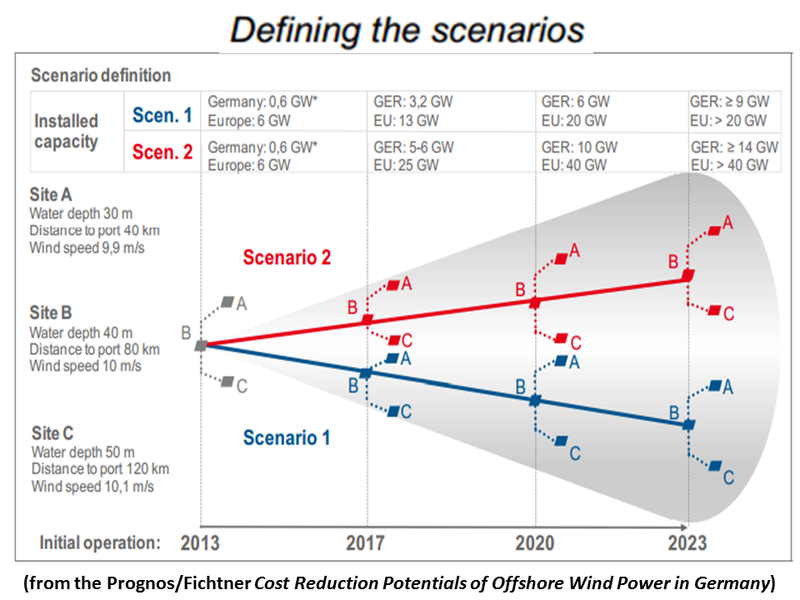 ƒ Due to increasing technical requirements for larger generators and rotor diameters, in scenario 1 the turbine provides with 0.2 percentage points only a small contribution to cost reduction, whereas in scenario 2 the contribution of 2.4 percentage points is significant. Gross electricity yields per plant and MW increase by up to 8 %. The increasing gross yield is, however, partially compensated by larger wake losses. In the long run, new market players enter the market and the increased competition contributes to cost reduction. 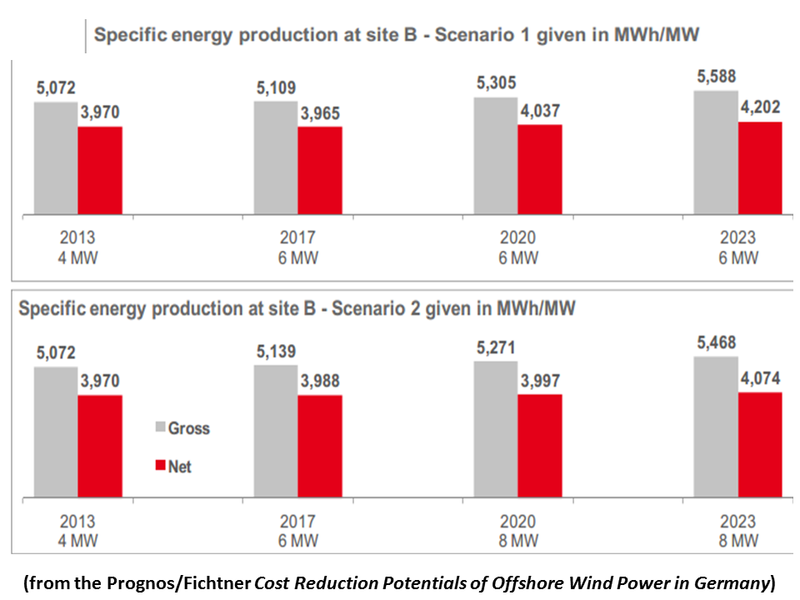 ƒ In scenario 1, the substantial decrease of risk premia for financing due to increased planning, construction and operation experience and the higher reliability of the plants contributes 9.6 percentage points to cost reduction; and thus reduces costs to a larger extent than in scenario 2 (8.4). In addition, the equity share required by banks is lower. As debt usually requires less return than equity, financing costs further decrease. In total, the reduction of the cost of capital due to a changed risk profile of the technology together with more experience is one of the main drivers of cost reduction. Industry, politics and administration only jointly can exploit these potentials. 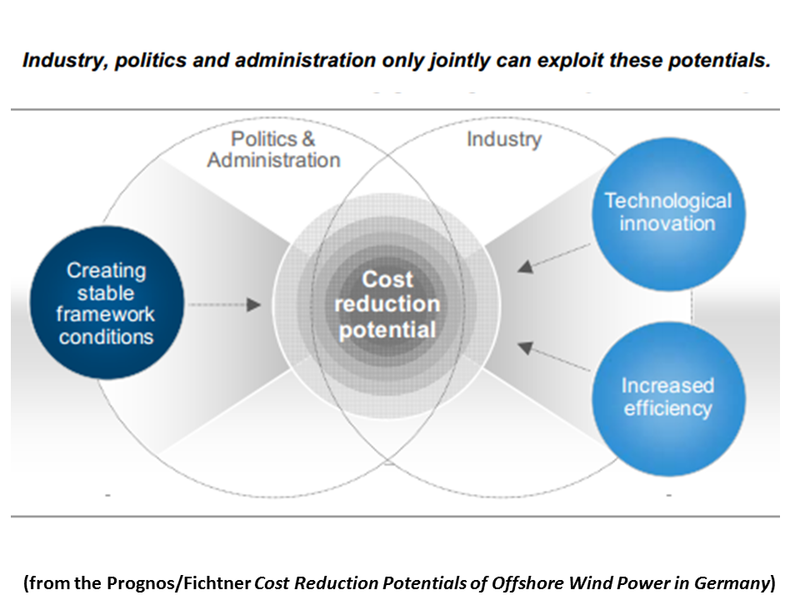 It is essential that all affected parties in industry, politics and administration are actively involved in order to be able to exploit the presented cost reduction potentials of offshore wind power over the next ten years. Not only the technical areas such as investment, operating and decommissioning costs, but also the minimisation of risk premia provide significant reduction potentials. A stable regulatory framework provided by the political environment is a prerequisite for this. For the offshore industry itself, technological innovations and a more efficient use of technology are key variables. All fields of action presented in the following affect project risks. 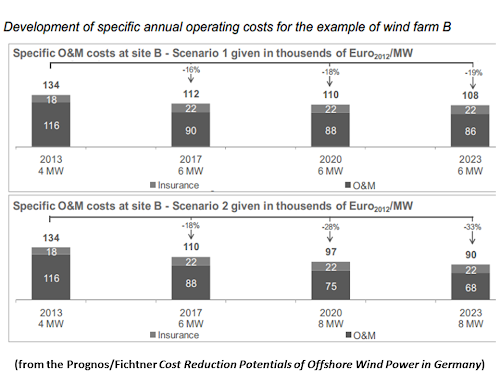 For offshore wind power projects, the active risk management is an important part of cost reduction. An improved management of the interface between wind farm operators, manufacturers, installation companies, grid operators and authorities can further reduce the risks. Stable framework conditions constitute the basis for a reliable investment climate. In addition to stable refinancing options stated in the EEG (Renewable Energy Act), this also refers to the exemption of already carried-out investments and investment decisions (“Bestandsschutz”). It is of particular importance to keep up the development even after the first development phase runs out in 2017. A long-term perspective regarding the regulatory environment helps the offshore industry with its long planning horizons to adapt to it. 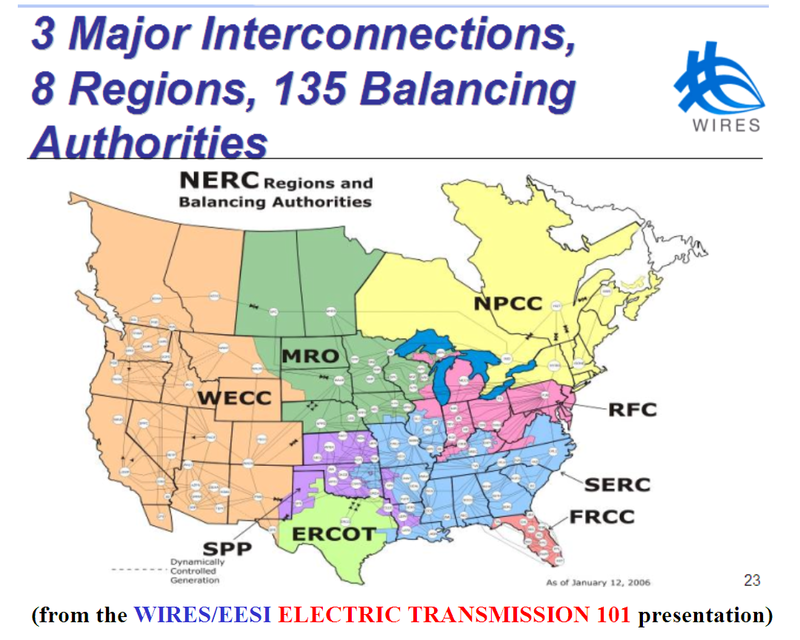 The introduction of technology standards for components and grid connections can substantially decrease the costs for installation and maintenance. It would be useful to develop these standards in close cooperation with the industry and throughout Europe in order to further minimise the costs of offshore wind power in all Europe. The joint review of certification and approval standards by the industry, operators, certifying entities and the Federal Maritime and Hydrographic Agency can optimise processes and standards. Uniform certification standards simplify the complex situation and reduce the current cost levels. It is recommended to use the experience gained from certification processes in the power station and plant construction industry as well as other industries outside the classical offshore segment. Depending on the site, both optimising plant technology in order to reach a high utilisation and maximising the wind yield offer potentials for decreasing levelised costs of energy. For close-to-shore sites, a higher plant utilisation through larger rotors will be advantageous. The higher the installation and maintenance costs due to larger distances to port, the more reasonable it becomes to maximise wind yield by economies of scales that larger turbine capacities contribute. Optimising the foundation design provides an opportunity for standardisation. Particularly jacket fabrication can become more efficient with higher volumes. In the short to medium term, processes for installing support structures can be optimised by drilling or vibration, for instance. In the long run, new substructure concepts such as gravity or floating substructures can lead to further improvements. Installation logistics should be improved by more powerful ships and ports as well as the adjustment of processes. The larger transport capacities that are achieved this way allow for a better utilization of favourable weather slots. This is a prerequisite for utilising the economies of scales of larger turbines. Development, testing and market introduction of innovative plant concepts and support structures should be intensified. Supported by the political environment, the creation of test fields and use of demonstration facilities could be useful in this context. 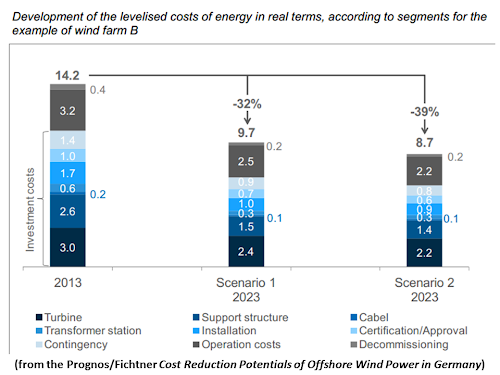 In the medium term, substantial cost benefits could be achieved by joint concepts for the operation and maintenance of wind farms. The goal should be to jointly use fleet and logistics infrastructures (landing and fuelling facilities for helicopters, ships, material storage, joint rescue and safety concepts). Offshore logistics centre where replacement components of various manufacturers are stored would reduce downtimes of wind farms. In the long run, operators of adjacent wind farms using the same type of plant could develop joint concepts and thus achieve cost benefits also during the installation phase. As the deployment of grid-connected solar photovoltaic (PV) systems has increased, so too has the desire to track the cost and price of these systems. This report helps to fill this need by summarizing trends in the installed price of grid-connected PV systems in the United States from 1998 through 2012, with preliminary data for 2013. The analysis is based on project-level data for more than 200,000 individual residential, commercial, and utility-scale PV systems, representing 72% of all grid-connected PV capacity installed in the United States through 2012. 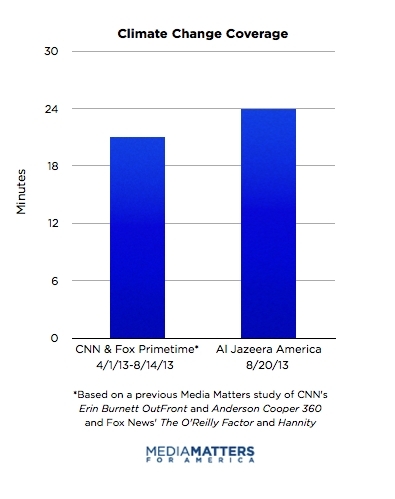 It is essential to note at the outset what the data presented within this report represent. First, the data are historical, focusing primarily on projects installed through the end of 2012, and therefore do not reflect the price of projects installed more recently (with the exception of the limited set of results presented for systems installed in the first half of 2013); nor are the data representative of prices currently being quoted for prospective projects to be installed at a later date. For this reason and others (see Text Box 1, within the main body), the results presented in this report may differ from current PV price benchmarks. 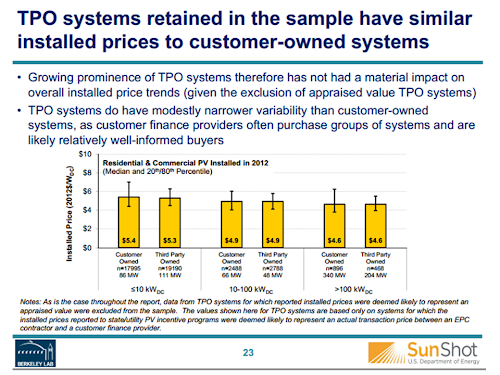 Second, this report focuses on the installed price of PV – that is, the up-front price paid by the PV system owner, prior to receipt of incentives. As such, it does not capture trends associated with PV performance or other factors that would affect the levelized cost of electricity for PV, nor does it capture trends in the net cost to the owner after receipt of all incentives. Finally, the underlying data collected for this report include third party owned (TPO) projects where either the system is leased to the site-host or the generation output is sold to the site-host under a power purchase agreement. For a subset of TPO systems, the installed price data represents an appraised value rather than a transaction price, and those projects were removed from the data sample (see Section 2 and Appendix A for further details). The report presents one set of installed price trends for residential and commercial PV systems, and another set for utility-scale PV. In all cases, installed prices are identified in terms of real 2012 dollars per installed watt (DC-STC), prior to receipt of any direct financial incentives or tax credits. 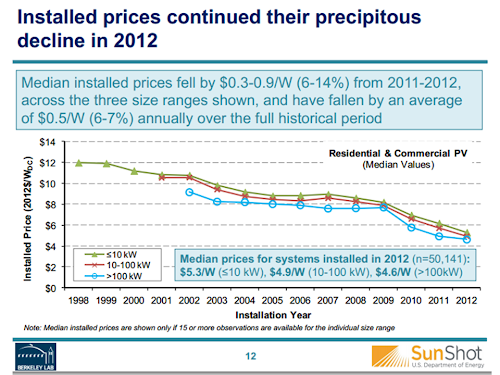 • Installed prices continued their precipitous decline in 2012, falling year-over-year by $0.9/W (14%) for systems ≤10 kW, $0.8/W (13%) for systems 10-100 kW, and $0.3/W (6%) for systems >100 kW. Among projects installed in 2012, median installed prices were $5.3/W for systems ≤10 kW, $4.9/W for systems 10-100 kW, and $4.6/W for systems >100 kW. 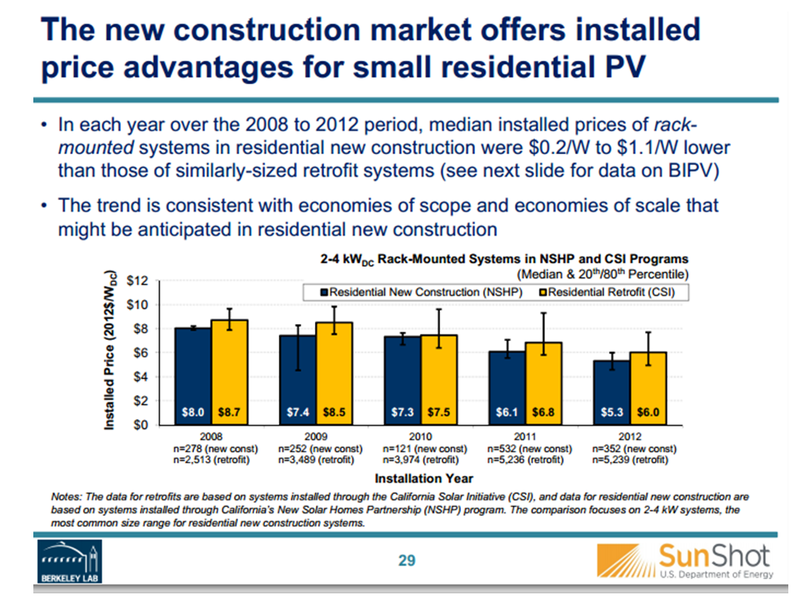 • Partial data for the first six months of 2013 indicate that installed prices have continued to fall, with the median installed price of projects funded through the California Solar Initiative declining by an additional $0.5/W to $0.8/W (10-15%) depending on system size, relative to systems installed throughout all of 2012. 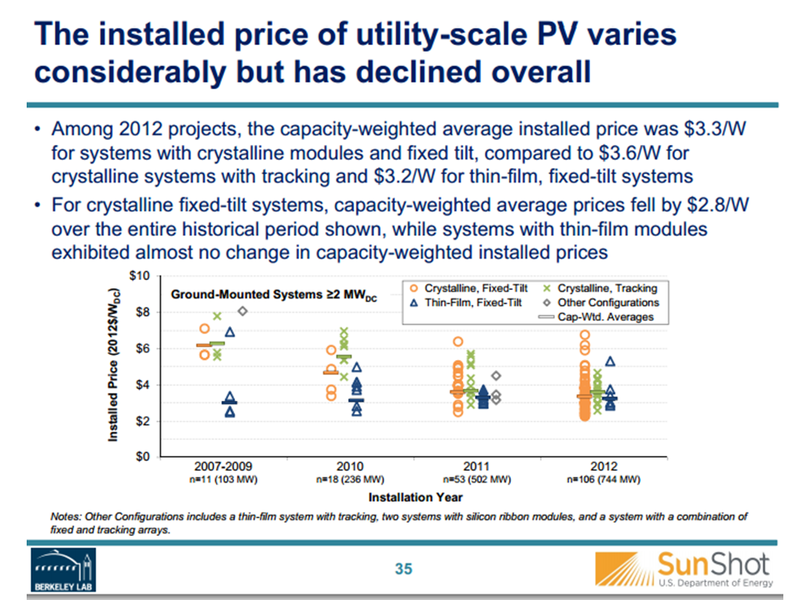 • The recent decline in installed system prices is largely attributable to falling module prices, which fell by $2.6/W from 2008 through 2012 (based on average annual selling prices), representing roughly 80% of the drop in total PV system prices for ≤10 kW systems over the same period. Movements in global module prices, however, do not necessarily translate into an immediate, commensurate change in the price paid by the system owner, with some evidence that system prices have lagged behind changes in module prices. • Over the longer-term, installed system prices have fallen also as a result of reductions in non-module costs (which may include such items as inverters, mounting hardware, labor, permitting and fees, customer acquisition, overhead, taxes, and installer profit). 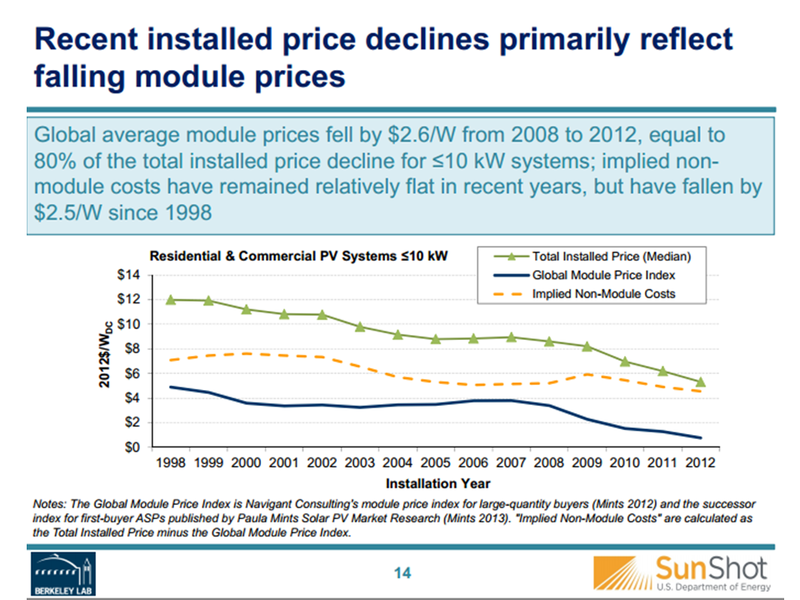 For example, non-module costs for ≤10 kW systems declined by approximately $2.5/W from 1998 to 2012, constituting 38% of the reduction in total installed system prices over that period. In recent years, however, non-module costs have remained relatively flat while module prices fell rapidly, and as a result, non-module costs have grown significantly as a share of total system costs. 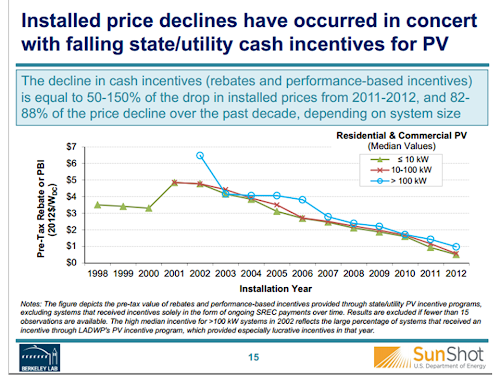 • Cash incentives provided through state and utility PV incentive programs (i.e., rebates and performance based incentives) have fallen substantially over time, offsetting much of the installed price reductions from the perspective of customer-economics. From 2011 to 2012, the median pre-tax value of cash incentives provided through the PV incentive programs in the data sample declined by an amount equivalent to 50% to 150% of the corresponding drop in installed prices, depending on system size. 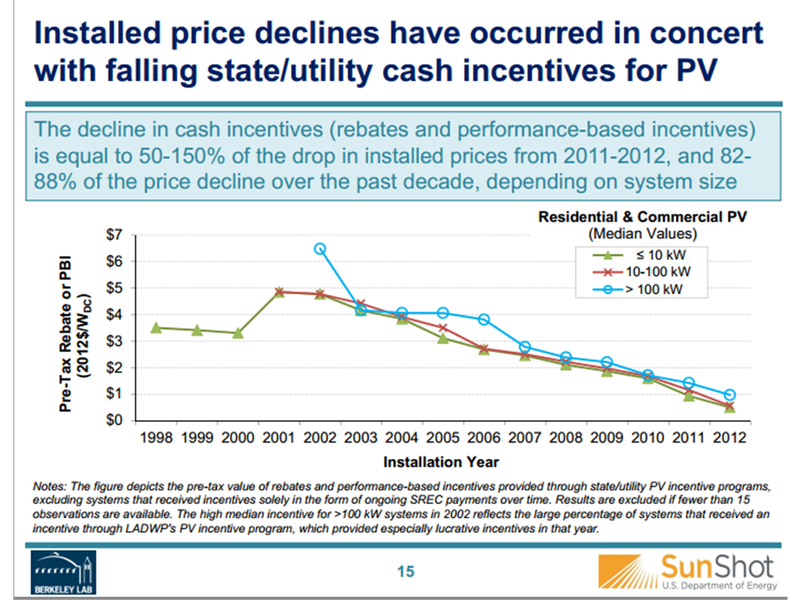 Over the course of the past decade, the reduction in cash incentives equaled 82% to 88% of the installed price decline. • International experience suggests that greater near-term price reductions in the United States are possible, as the median installed price of small residential PV installations in 2012 (excluding sales/value-added tax) was just $2.6/W in Germany, $3.1/W in Australia, $3.1/W in Italy, and $4.8/W in France, compared to $5.2/W in the United States. 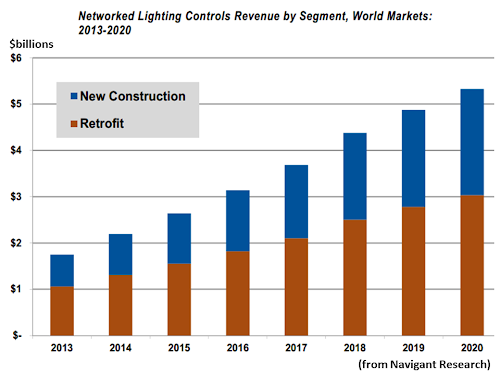 • The distribution of installed prices across projects is quite wide. 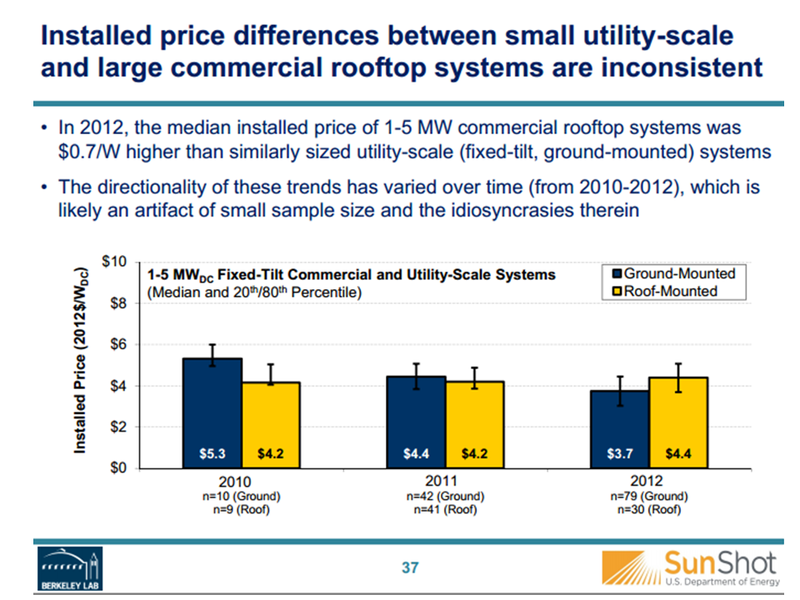 For example, among ≤10 kW systems installed in 2012, roughly 20% of systems had an installed price less than $4.5/W, while a similar percentage was priced above $6.5/W. The price distribution has narrowed somewhat over time, though no discernible narrowing has occurred in recent years. 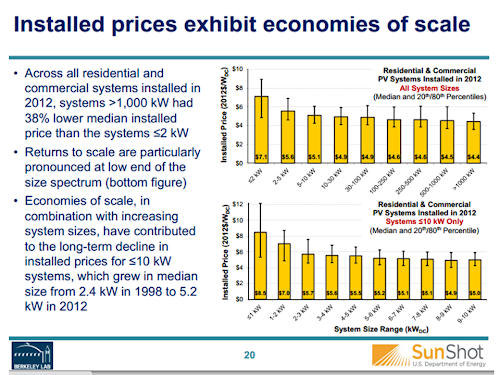 • Installed prices exhibit significant economies of scale, with a median installed price of $7.1/W for systems ≤2 kW completed in 2012, compared to $4.4/W for commercial systems >1,000 kW. 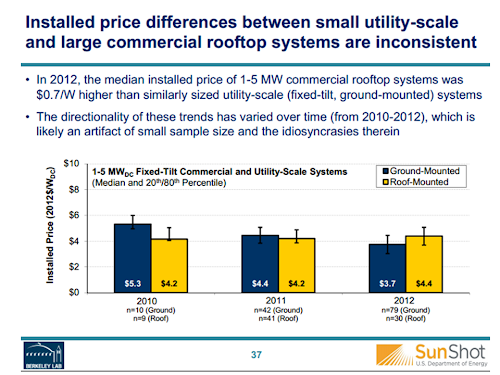 The installed price of utility-scale systems is even lower, as discussed further below. To a limited extent, these economies of scale help to explain the long-term decline in median installed prices, as typical PV system sizes have grown over time. 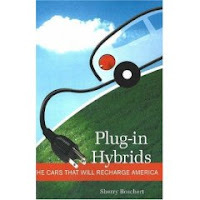 • Installed prices vary widely across states. 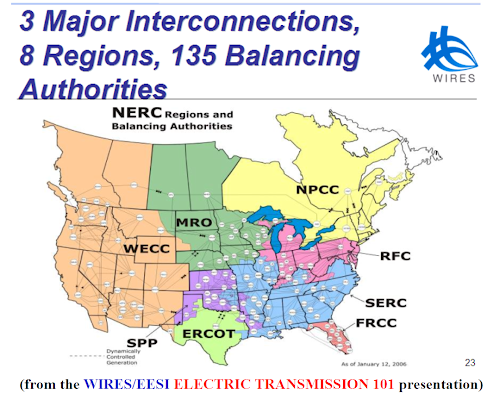 Among ≤10 kW systems completed in 2012, for example, median installed prices range from a low of $3.9/W in Texas to a high of $5.9/W in Wisconsin, potentially reflecting a number of differences in state and local factors (e.g., market size, permitting requirements, competitiveness of the installer market, labor rates, sales tax exemptions, and incentive levels). 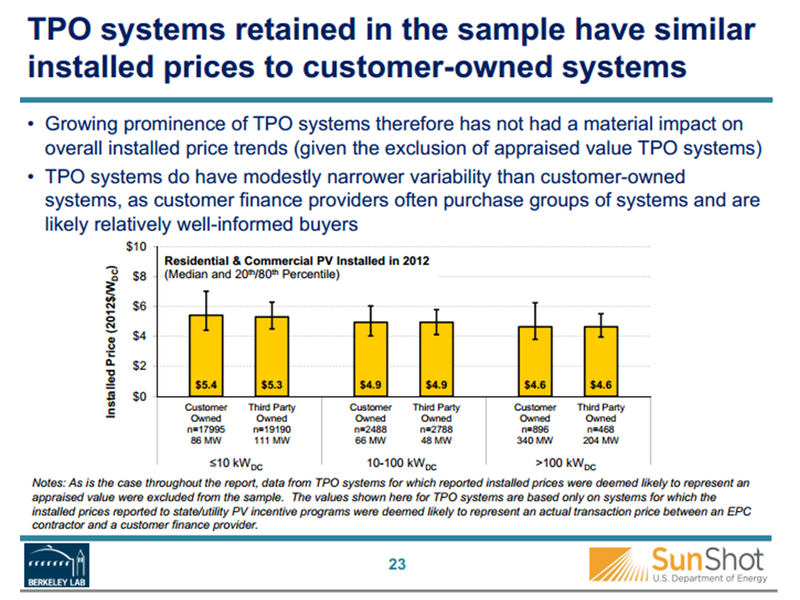 • Installed prices of the third party owned (TPO) systems retained in the data sample, which represent the sale price between an installer and a customer finance provider, are similar to the installed prices reported for customer owned systems. The growing prominence of third party ownership therefore does not appear to have had a significant direct impact on the overall median installed price trends presented within this report (given that appraised value systems have been removed from the data sample). 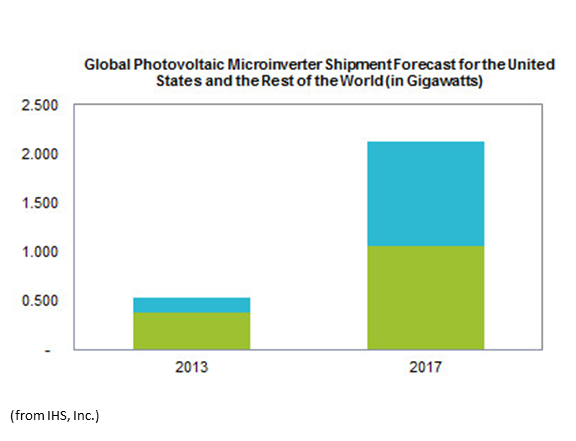 • Small PV systems with microinverters have higher installed prices than those with central inverters, with a differential in median installed prices of $0.4/W (8%) for ≤10 kW systems installed in 2012, and a similar differential in 2011. The increasing penetration of microinverters has thus modestly dampened the installed price decline for small systems. In contrast, among larger systems sizes, no appreciable difference in installed price is evident between those with microinverters and those with central inverters. 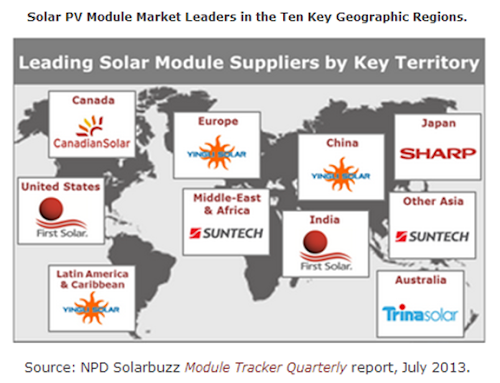 • Installed prices are moderately higher for systems with high-efficiency modules. 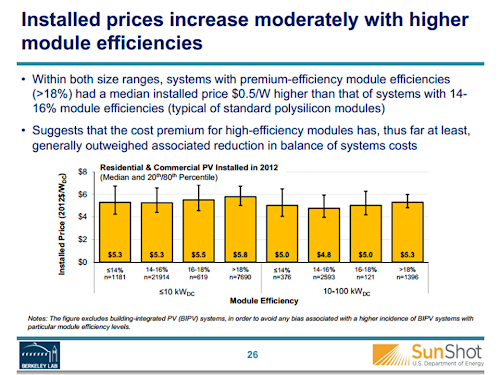 Among systems installed in 2012, the median installed price of those with module efficiencies >18% was roughly $0.5/W higher than for those with module efficiencies in the 14-16% range (the range typical of systems with standard polysilicon modules). • Systems with Chinese-brand modules generally have lower installed prices than other systems, with an installed price differential of $0.3/W to $0.4/W among 2012 systems, depending on system size, and somewhat larger differences in prior years. 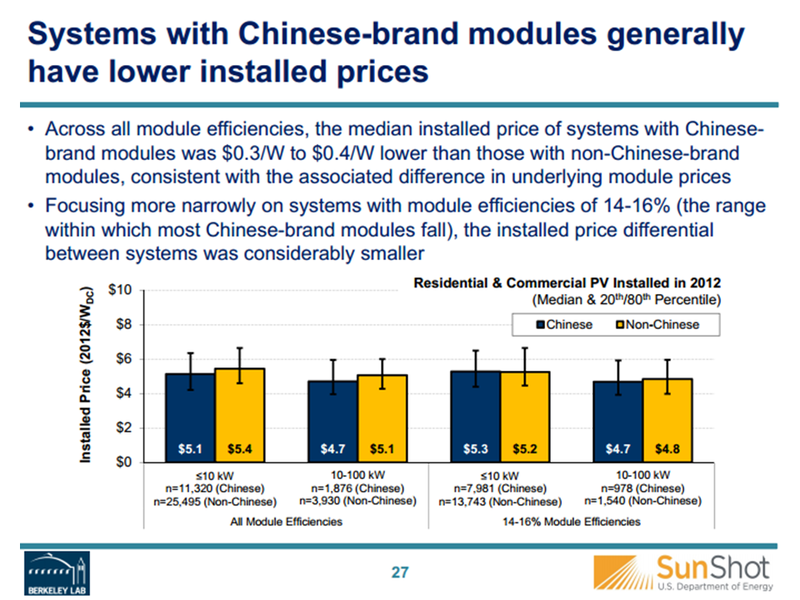 However, focusing more narrowly on systems with module efficiencies of 14-16% (the range within which most Chinese-brand modules fall), the installed price differential between systems with Chinese and non-Chinese modules was considerably smaller. • Installed prices for systems installed at tax-exempt customer sites are moderately higher than for similarly sized systems at residential and for-profit commercial customer sites. Among 2012 systems, the median price of tax-exempt systems was $0.3/W to $0.8/W higher than for residential and commercial systems, depending on system size range. • The residential new construction market offers potential price advantages relative to residential retrofits. 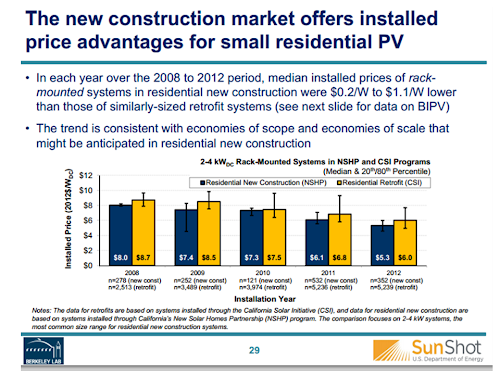 In particular, over the 2008 to 2012 period, the median installed price of rack-mounted systems in new construction was $0.2/W to $1.1/W lower than for comparably sized retrofit systems, when focusing on systems 2-4 kW in size (the size range typical of PV in residential new construction). • Within the new construction market, BIPV systems exhibit significantly higher prices than rack-mounted systems, with a difference in median installed prices ranging from $0.7/W to $2.3/W over the 2008 to 2012 period. That comparison, however, does not account for any avoided roofing materials cost associated with BIPV. • Within the residential and commercial market, ground-mounted systems with fixed-tilt have higher installed prices than similarly sized roof-mounted systems. 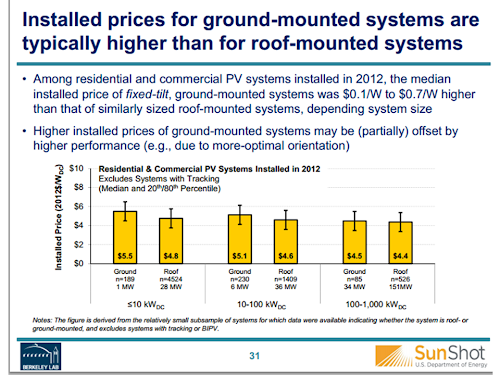 In 2012, the median installed price of ground-mounted systems was $0.1/W to $0.7/W higher than that of roof mounted systems, depending on system size (with a larger differential for smaller systems). 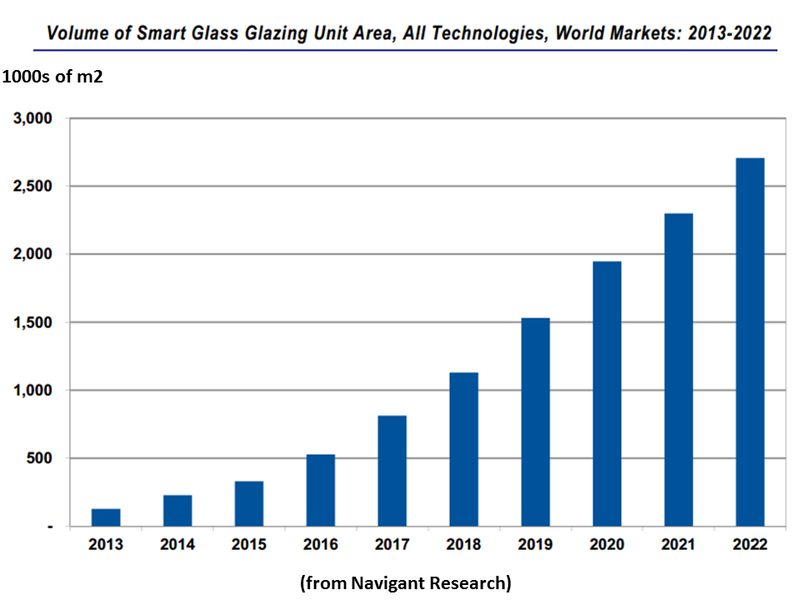 • The installed price of residential and commercial systems with tracking is, not surprisingly, notably higher than for fixed-tilt, ground-mounted systems. Among systems installed in 2012, the median installed price premium for tracking systems ranged from $0.7/W to $1.7/W (15% to 32%), depending on system size (again, with a larger differential for smaller system sizes). This difference in installed prices is roughly on par with the increased performance of tracking systems relative to fixed-tilt systems. This report separately summarizes installed price data for utility-scale PV projects, defined for the purposes of this report as ground-mounted projects larger than 2 MW, and includes only fully operational projects for which all individual phases are in operation. Several important features of the utility-scale PV project data are worth noting, in addition to those noted earlier for the dataset as a whole. First, the sample size of utility-scale projects is relatively small (190 projects in total), and includes a number of smaller (i.e., 2-10 MW) projects and several projects with “atypical” characteristics, which may have higher installed prices than the prototypical large utility-scale PV projects currently under development. Second, reported installed prices for utility-scale projects often reflect transactions (e.g., EPC contracts or PPAs) that occurred one or more years before project completion. In some cases, those transactions may have been negotiated on a forward looking basis, reflecting anticipated costs at the time of project construction. In other cases, the transactions may have been based on contemporaneous component pricing (or a conservative projection of component pricing), in which case the installed price data may not fully capture recent reductions in module costs or other changes in market conditions. • Among projects completed in 2012, the capacity-weighted average installed price was $3.3/W for systems with crystalline modules and fixed tilt, compared to $3.6/W for crystalline systems with tracking and $3.2/W for thin-film, fixed-tilt systems (though the sample sizes for these latter two configurations are relatively small). 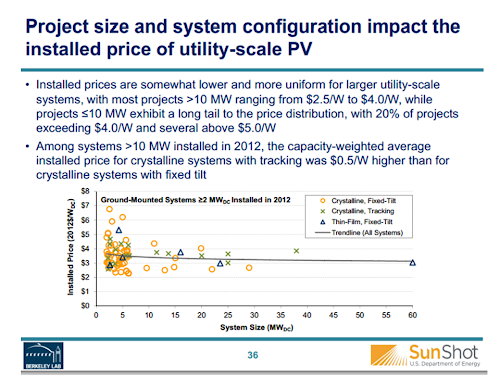 • The installed price of utility-scale systems varies considerably across projects. 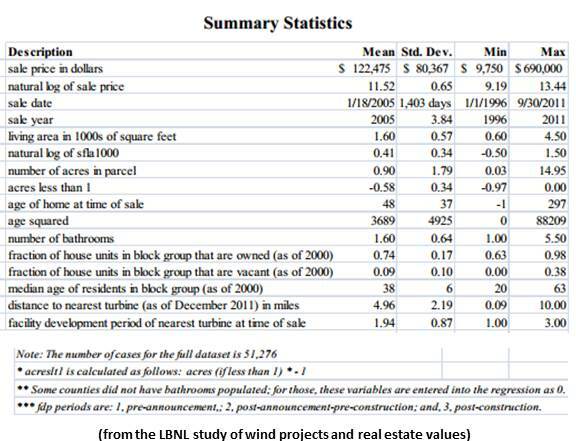 Among the 106 projects in the data sample completed in 2012, for example, installed prices ranged from $2.3/W to $6.8/W, and similar levels of variability are evident in earlier years as well. This variation partly reflects differences in project size and configuration, though other factors are also clearly important. • Discerning a time trend for the installed price of utility-scale PV is challenging, given the small and diverse sample of projects. Among crystalline, fixed-tilt systems, capacity weighted average prices fell by $2.8/W between the 2007-to-2009 period and 2012. In the latter years of the historical analysis period, however, those price reductions slowed, with just a $0.2/W decline from 2011 to 2012. In contrast, thin-film systems exhibited relatively little installed price movement between the 2007-to-2009 period and 2012. • Installed prices are somewhat lower and more uniform for larger utility-scale systems. Most projects >10 MW installed in 2012 ranged in price from $2.5/W to $4.0/W. 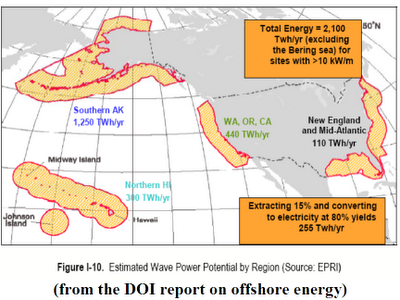 Projects ≤10 MW were clustered within a similar range, but with a sizeable tail to the distribution with 20% of projects exceeding $4.0/W and several above $5.0/W. • As to be expected, utility-scale systems with tracking generally have higher installed prices than fixed-tilt systems. Among crystalline systems installed in 2012, the capacity-weighted average price of systems with tracking was $0.3/W higher than fixed-tilt systems if comparing utility-scale systems of all sizes, and was $0.5/W among systems >10 MW. • The price differential between utility-scale systems with crystalline and thin-film modules has varied considerably over time. 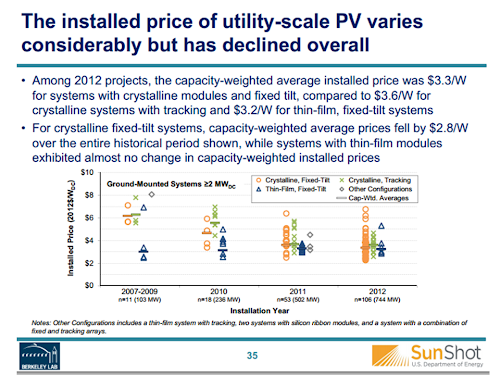 Among fixed-tilt projects installed in 2012, the differences in installed prices were negligible, with thin-film systems registering a capacity weighted average installed price $0.1/W lower than crystalline systems. This contrasts to earlier years in the historical period, where thin-film systems enjoyed a sizeable price advantage. The number of PV systems installed in the United States has grown at a rapid pace in recent years, driven in large measure by government incentives. Given the relatively high historical cost of PV, a key goal of these policies has been to encourage cost reductions over time. Efforts to drive cost reductions have also been led by the U.S. DOE’s SunShot Initiative, which aims to reduce the cost of PV-generated electricity by about 75% between 2010 and 2020. Available evidence confirms that the installed price of PV systems (i.e., the up-front cost borne by the PV system owner) has declined substantially since 1998, though both the pace and source of those cost reductions have varied over time. Prior to 2005, installed price reductions were associated primarily with a decline in non-module costs. Starting in 2005, however, installed price reductions began to stall, as the supply-chain and delivery infrastructure struggled to keep pace with rapidly expanding global demand. Starting in 2008, global module prices began a steep downward trajectory, driving installed price reductions of 40% among residential and commercial installations from 2008 through 2012. Non-module costs, in contrast, have remained relatively stagnant since 2005. 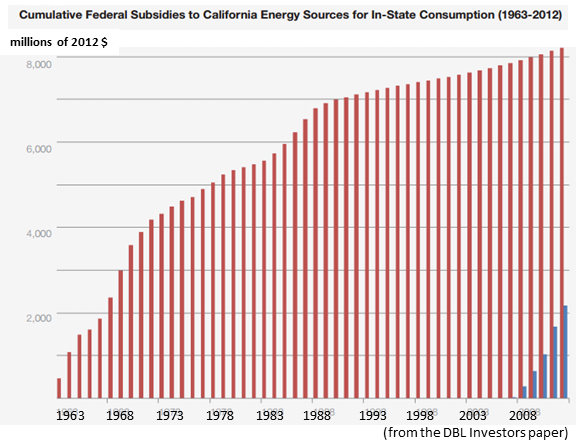 Trends in nonmodule costs may be particularly relevant in gauging the impact of state and utility PV deployment programs. Unlike module prices, which are primarily established through global markets, nonmodule costs consist of a variety of cost components that may be more readily affected by local policies – including deployment programs aimed at increasing demand (and thereby increasing competition and efficiency among installers) as well as more-targeted efforts, such as training and education programs. Historical non-module costs reductions from 1998-2005 suggest that PV deployment policies have, in the past, succeeded in spurring cost reductions; however, the fact that non-module costs have remained largely unchanged since 2005 highlights the potential need to identify new and innovative mechanisms to foster greater efficiency and competition within the delivery infrastructure. 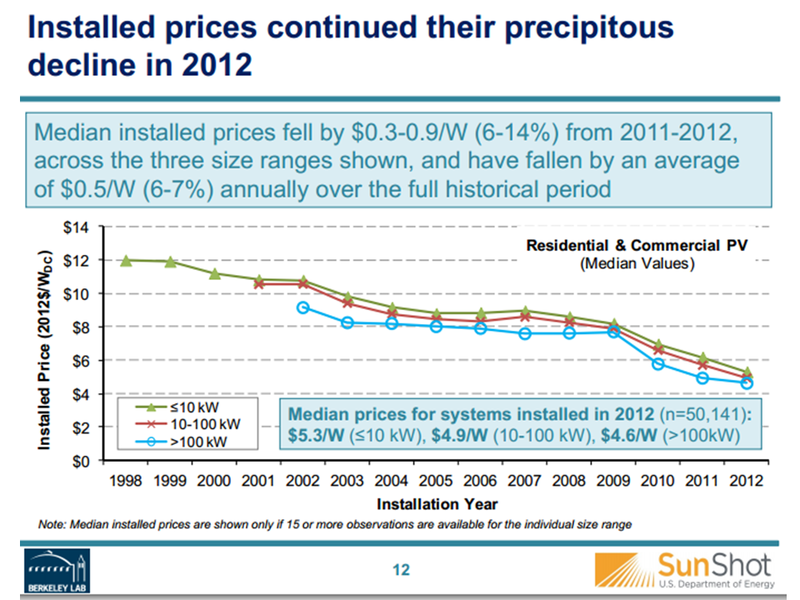 Preliminary data for California systems installed in the first half of 2013 indicate that installed prices have continued to decline. Notwithstanding this success, further price reductions will be necessary if the U.S. PV industry is to continue its expansion as incentive programs ratchet down financial support. Given the limits to further reductions in module prices, additional deep reductions in installed prices will require significant reductions in soft costs. Lower installed prices in Germany and other major international markets suggest that deep nearterm soft cost reductions in United States are, in fact, possible and may accompany increased market scale. 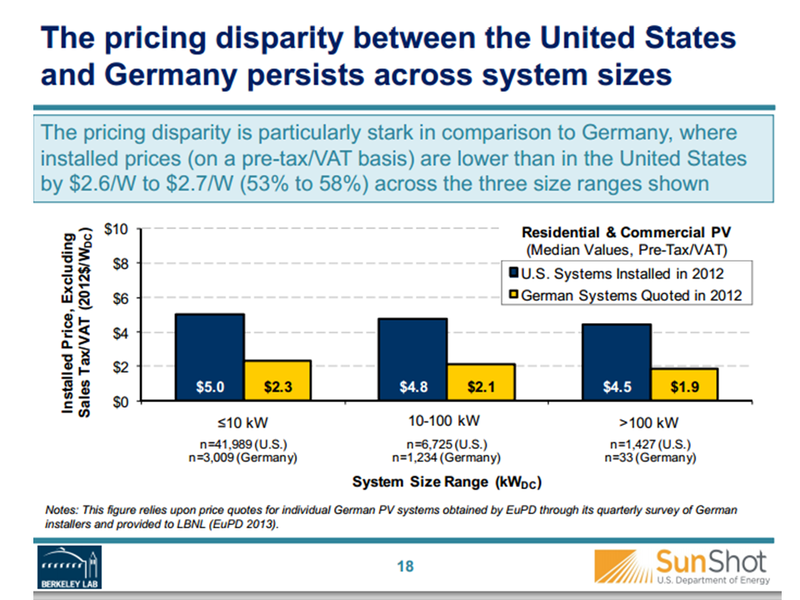 It is also evident, however, that market size alone is insufficient to fully capture potential near-term cost reductions, as suggested by the fact that many of the U.S. states with the lowest installed prices have relatively small PV markets. Achieving deep reductions in soft cost may require some combination of incentive policy designs that provide a stable and straightforward value proposition, targeted policies aimed at specific soft costs (for example, permitting and interconnection), and basic and applied research and development. 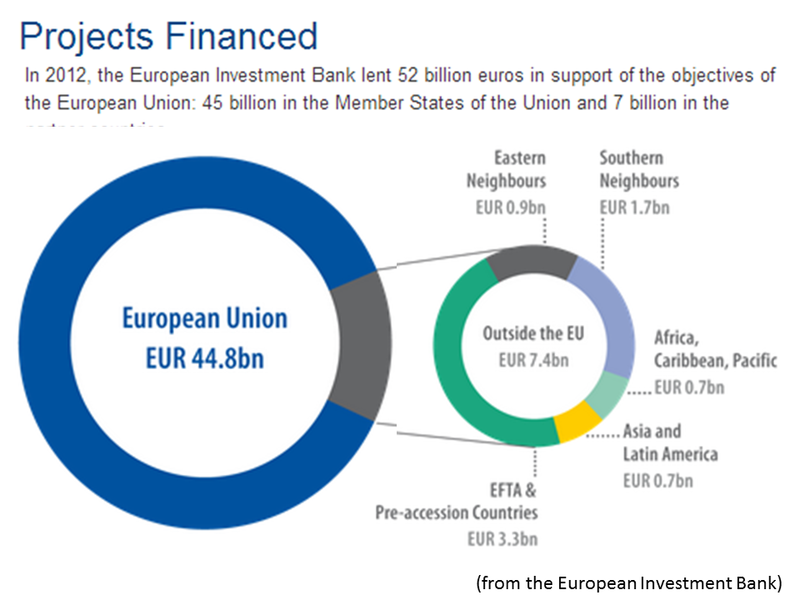 Europe’s seas and oceans are rich in opportunities and sources of employment for our economy. Covering around 70% of the surface of the Earth – the ‘blue planet’ - their potential for economic growth and competitiveness needs to be tapped. However, this will not happen without proactive thinking from European and national decision makers. They must develop a dynamic maritime and research agenda to support what is known as the ‘blue economy’. Offshore wind is a strong asset in the European maritime economy. Employing 58,000 people in 2012, it is a promising industry with the potential to transform and decarbonise the electricity system. It can create considerable economic growth that benefits the whole of society as well as maritime regions and other maritime sectors. It is still a young technology facing considerable challenges. Political and economic support is needed for large scale deployment, so a European industrial strategy should be developed to ensure that offshore wind can meet its potential. • Deep offshore designs are necessary to unlock the promising offshore market potential in the Atlantic, Mediterranean and deep North Sea waters. • Deep offshore designs constitute an export opportunity. As deep offshore capacity increases, expertise, skills and technologies developed in Europe can be exported across the globe, initially to Japan and the US. • The energy produced from turbines in deep waters in the North Sea alone could meet the EU’s electricity consumption four times over. • Deep offshore designs are competitive in terms of the levelised cost of energy (LCOE) with bottomfixed foundations in more than 5Om water depth. The technology is still at a very early stage of development and in order to achieve commercial and large-scale deployment, the sector must overcome technical, economic and political challenges. 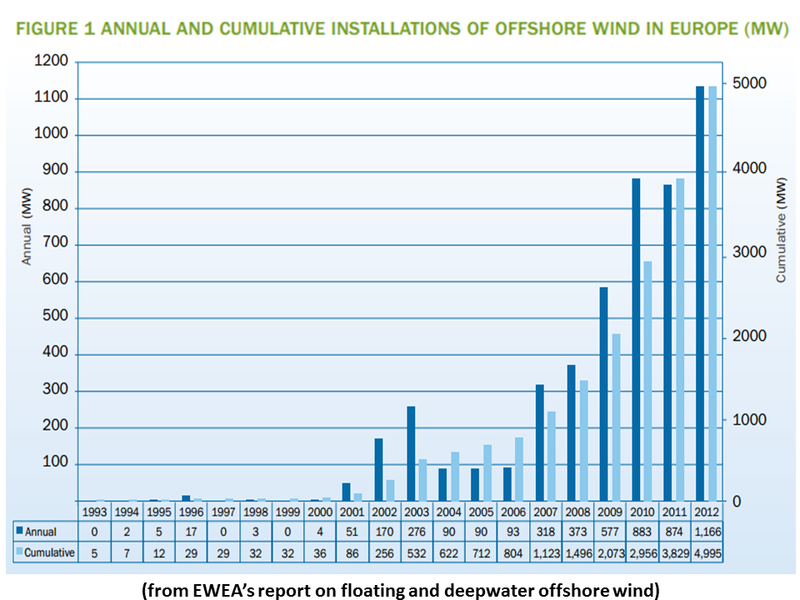 At end 2012, there was just under 5 GW of installed offshore wind energy capacity in Europe. A further 4,460 MW were under construction and around 18,000 MW consented. 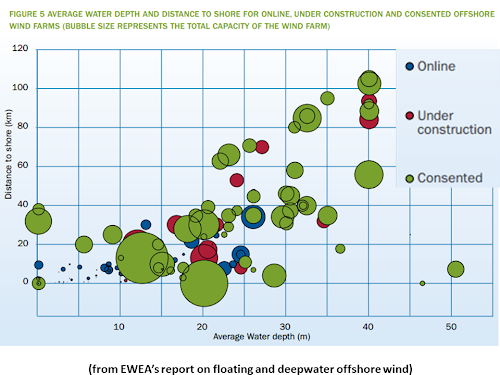 EWEA forecasts that by 2020, 40 GW offshore wind capacity could be operational in European waters, producing 148 TWh provided that the right framework conditions are in place. This is enough to power the equivalent of 39 million households. 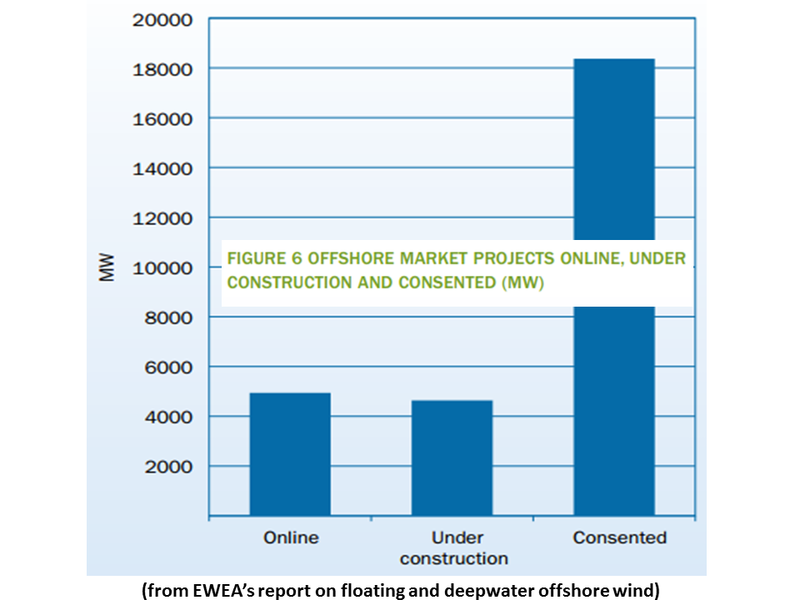 By 2020 offshore wind will represent 30% of the new installation annual wind market. 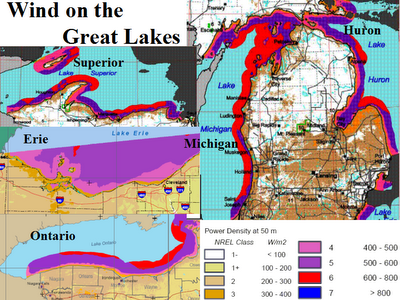 Up to 2020, most of these developments will remain in the North Sea and Baltic Sea. 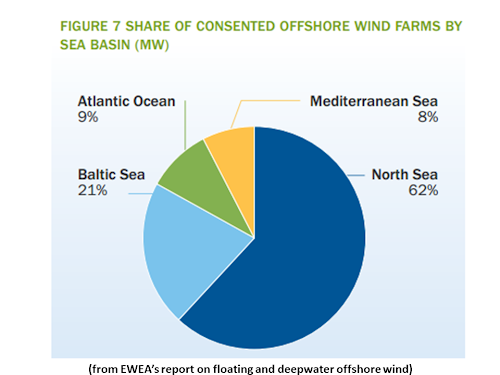 Analysis of the consented wind farm pipeline shows that 62% of total consented capacity is in the North Sea. The Mediterranean could begin exploiting its offshore potential (8% of consented capacity) in that time frame, along with the Baltic Sea (21% of consented capacity). 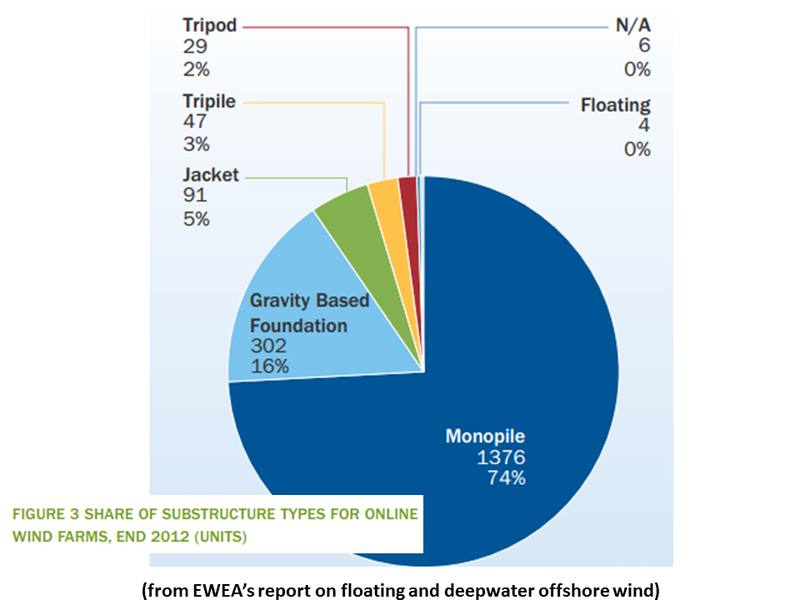 By 2030, EWEA forecasts 150 GW of installed offshore wind capacity, enough to power 145 million households. 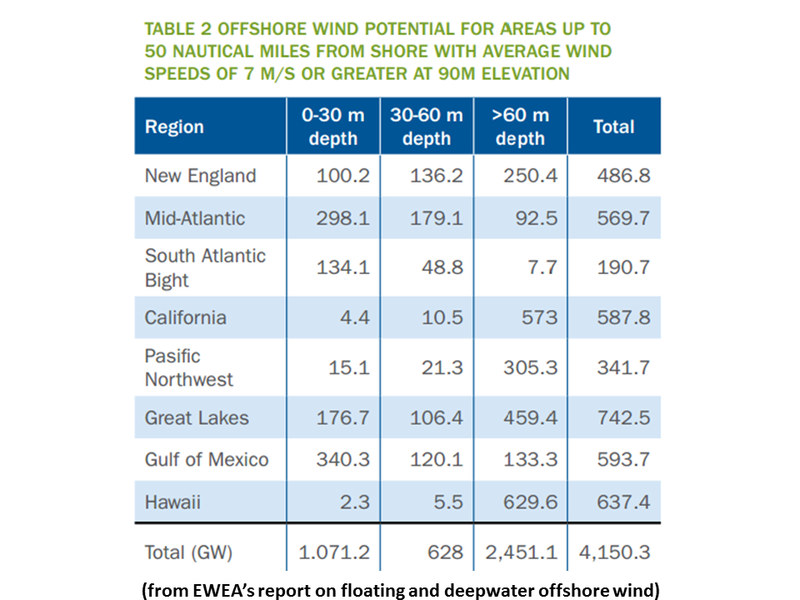 Offshore wind will represent 60% of the new annual installations, exceeding the onshore market. 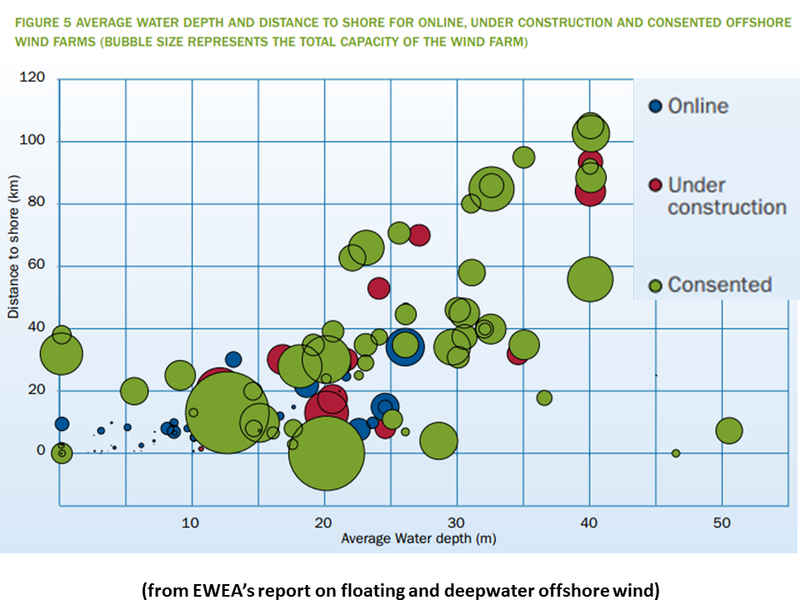 EWEA has identified 141 GW of projects in European waters, which are either online, under construction, consented or planned. 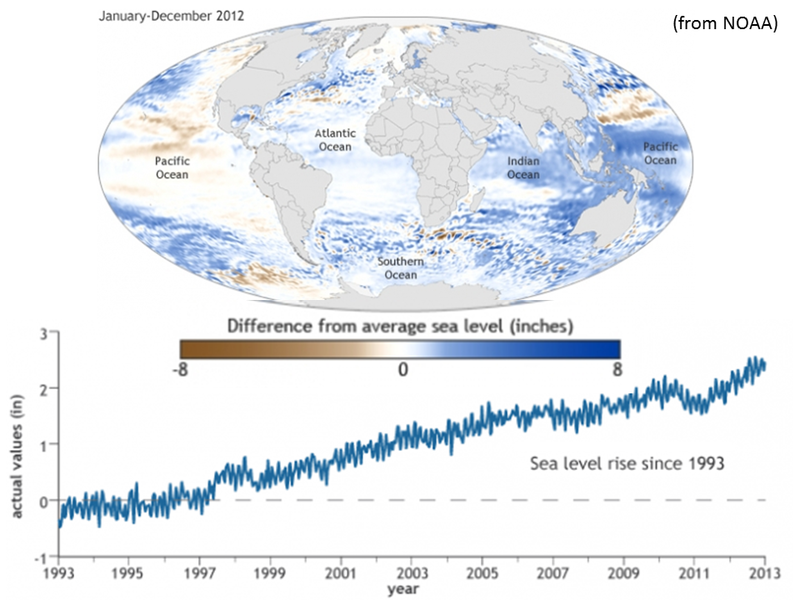 Of these, 22 GW (16%) will be in the Atlantic and 16 GW (11%) in the Mediterranean Sea, where waters are typically deeper. To exploit this potential in the Atlantic, Mediterranean and deeper parts of the North Sea such as the Norwegian coast, deep offshore designs are required. Finally, by 2050 offshore wind could reach 460 GW, producing 1,813 TWh and contributing to a European power supply met 50% by wind. This exponential growth is only achievable through the deployment of deep offshore designs. Using only North Sea sites with water over 50m deep as an example, the potential for deep offshore wind energy is vast. 66% of the North Sea has a water depth between 50m and 220m and could therefore be used to deploy the deep offshore designs. For illustration purposes only, assuming 6 MW wind turbines, the energy produced in this area could meet today’s EU electricity consumption four times over. In 2050, using 10 MW turbines, the energy produced in this area could meet the EU’s electricity consumption by even more than four times over. 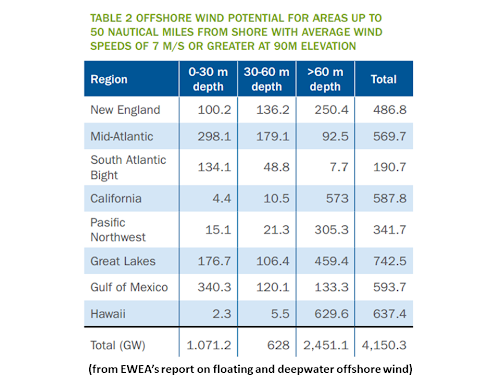 If floating turbines in the North Sea alone can exceed Europe’s demand by this amount, the potential once suitable areas of the Atlantic and Mediterranean seas are included is many times greater. 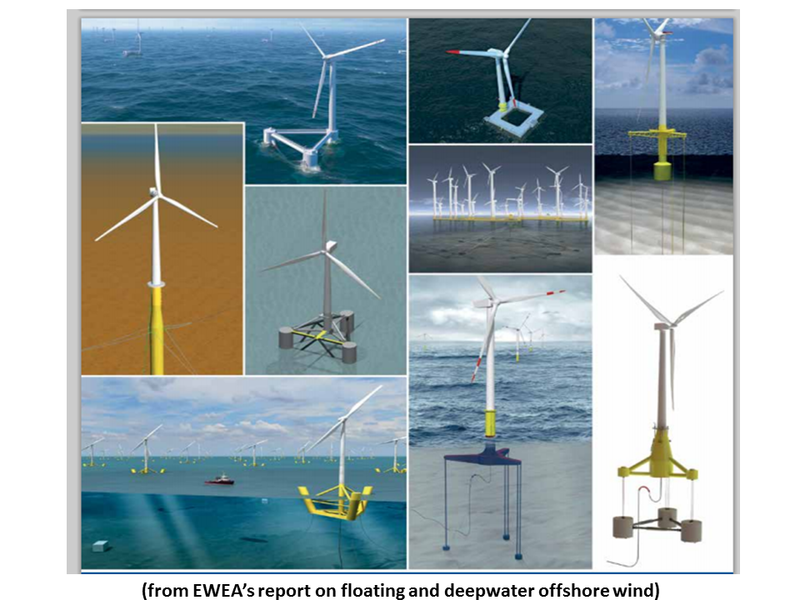 • A clear and stable legislative framework post 2020 based on a binding 2030 renewable energy target is needed to drive deep offshore wind development and deployment. • A cohesive European industrial strategy guiding offshore wind development is necessary. It will support deep offshore from R&D to deployment. • Licensing and permitting procedures should be simplified to minimise lead time deployment. The capacity of permitting bodies should be enhanced to handle the growth in deep offshore projects. • Public support for R&D should be increased to maintain European technology and market leadership in deep offshore designs. • Strong collaboration between the different players (and sometimes competitors) should be encouraged through new project partnerships. Exchange of experience and data is crucial and will benefit all stakeholders. 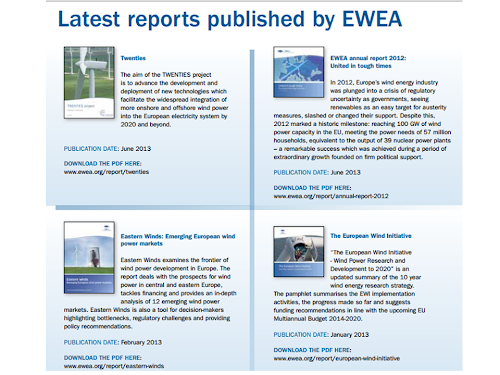 • The European Wind Initiative (EWI), with the network and R&D forum TP Wind, should continue and be allocated sufficient funding to ensure their recommendations can be implemented. • New standards specific to wind floating systems must be developed to help reach commercial maturity. • Deep offshore projects with the correct risk perception should be ensured access to financing. • Ports must provide enough space to accommodate installation vessels and component storage. • Self-installing systems must be developed to minimise installation costs. • Suitable training courses should be developed to remedy the shortage of skilled professionals. • Modelling tools and numerical codes that simulate the whole structure’s behaviour should be developed and validated to improve design. 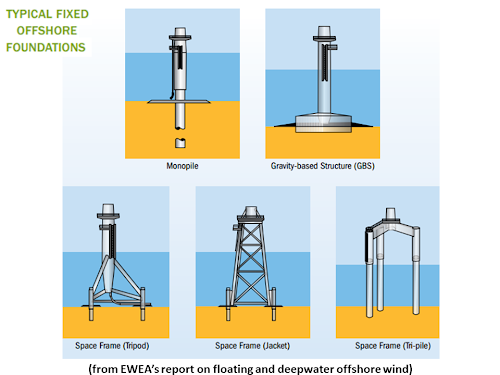 • Wind turbine design and size must be optimised for use on floating support structures. • There is a need to develop sufficient and appropriate control systems. • More research must be done on mooring and anchoring systems. 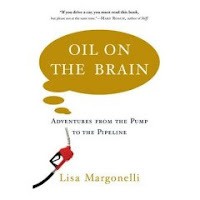 The industry could benefit from the experience of the oil and gas sector. • New measuring techniques and tools should be developed to assess the wind and wave conditions at wind farm locations. • More research is required into wake and turbulence effects and how they affect the load and motions of floating platforms. This can be achieved by deploying floating demonstration farms of around four or five units rather than exclusively single unit prototypes. • More test sites (small scale and large scale) should be developed to ensure the reliability and cost competitiveness of the deep offshore designs.